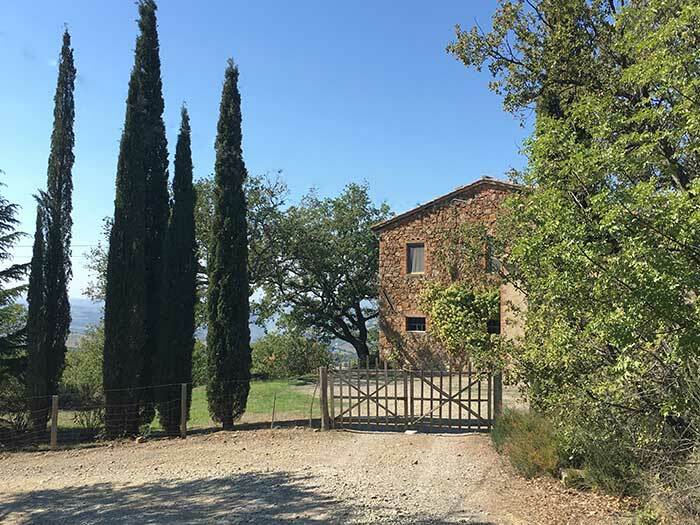 Itinerary in the great scenery of the Val d’Orcia, in a picture-perfect setting, just about 40 km north of Podere Santa Pia. There is no difficulty in following the track. 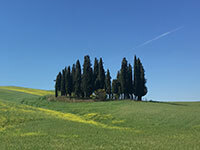 This itinerary starts in Buonconvento, near the Ponte d'Arbia in the region known as the Crete Senesi (literally Sienese clays) noted for its dramatic landscape, along strade bianche or 'white streets' leading to Torrenieri, and ends in San Quirico d'Orcia in the Val d'Orcia, a Unesco Heritage site. 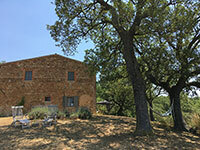 A small grocery and restaurant in San Quirico d'Orcia, with specialties from the region and many organic products. Photo by lo.tangelini, licensed under the Creative Commons Attribution-Share Alike 2.0 Generic icense. A beautiful long walk in the Crete Senesi. Halfway you walk along the famous white road, the strada bianca deo Pieve a Salti connecting Buonconvento to San Giovanni d'Asso. It is a long walk that you can also split into two parts.